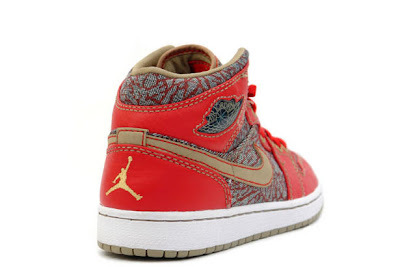 Levi’s x Air Jordan 23/501 Collection..."YO U GOT THOOSE NEW JORDAN JEANS?""" This is an iconic collaboration between two masters of their respective fields. 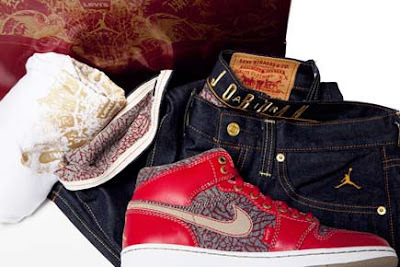 Each package comes with a pair of Jordan 1 Retros (made from Levi’s Original 501 Denim), co-branded 501 jeans and a signature T-shirt featuring graphics from both brands. This package drops tomorrow, March 1st, at a retail price of $395 and are limited to 2323 pairs worldwide. Expect to pay significant markups in the reseller market. Sizing chart and more pics after the jump. ICE CUBES SAMPLES ON BLAST!!! IKE TURNER ON TRAFFIC STOP FADED!!! FAT FAT!!! REGGIE U A LUCKY MAN!! SEAN P FREESTYLE FOR HIPHOP GAME! CALLS MEDIATAKEOUT.COM OWNER FOR SNITCHIN! RITA G-zzzzzzzzerrrz!!!! FLASHING LIGHTS BANGER! THIS IS HOW U DANCE IN THE CLUB!!! NEW HOT DJ BHRAMA BULL TRACK & VIDEO!!! LLOYD BANKS FREESTYLES OVA J & NAS SUCESS!! !